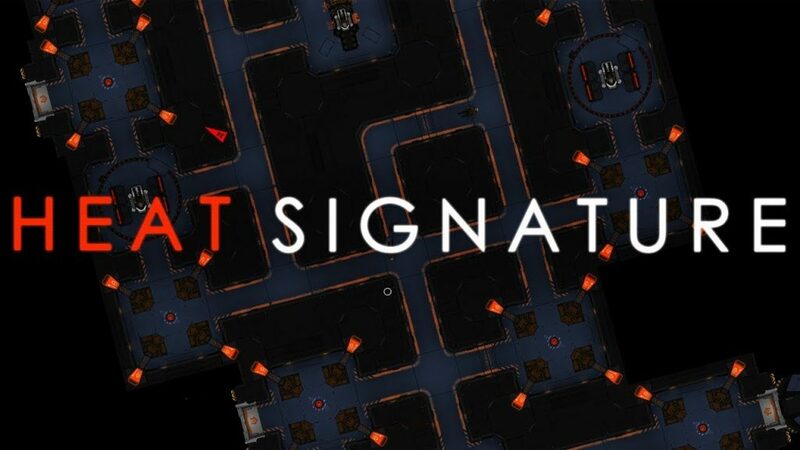 Heat signature is a top-down strategic rouge-lite which features a variety of weapons and interesting gimmicks. Some of these gimmicks include space flight and stopping time. What is Heat Signature: Heat signature is a top down strategic rouge-lite which features a variety of weapons and interesting gimmicks. It is a single player only game, however, there is slight online integration in the form of challenges to unlock your friend’s characters. Heat signature features an expansive “map” with multiple stations (more than 20), each of which have to be liberated in order to be played on. Stations don’t differ to much from each other, making each station feel same-y. This makes the game a bit bland in terms of the environment. At these stations you can receive missions, each of which generate different missions. The Missions: The missions in Heat Signature are very similarly, each of them can be categorized in one of the following architypes: Capture, Assassinate, Steal, Control and each of their bloodless variants. What makes the game more fun are its variety in the mission layouts. Each and every spaceship is enterable, almost all of them are procedurally generated making each mission unique. The variety in these missions are what make it fun and repayable. Furthermore, each mission can be completed in a different way which all depends on the player. This variety in mission types combined with the mission layouts are what make the game fun and repayable. Progression + Weapons (and game flow): The progression system in the game is a quite interesting. Each station that is liberated unlocks a new weapon/tool incentivizing further play. However, this can make the game seem like a grind as liberation missions only occur once you have completed a certain number of missions. The Game looks amazing in my opinion; well the universe and environment does, when it comes to character models there is some more desired. Furthermore, ship interiors look great which directly contrasts with the ship’s exterior shape. Basically, the art of the environment and the interiors look amazing, on the other hand, character models and the exterior shapes of ships leaves a lot to be desired. Overall the Game, though it does have repayable aspects, does get old very fast. However, it can be quite fun when played with friends (in person, not online). This plays directly into my next gripe with the game is its lack of cooperative multiplayer, which makes the game very isolated. In my opinion, the game would be much better with large cooperative raid like missions. Online Servers would also greatly enhance the experience, allowing you to customize and get bigger ships, as well as a more interactive lively universe, would make the game more repayable and fun in the long term. To conclude, the game is fun at first, however, it gets monotonous quite quickly even though it does have infinite replicability, its problem is the lack of replicability in gameplay. Overall, I give this game a 6.5/10 at retail price ($15), and an 8/10 at anything less than $7.